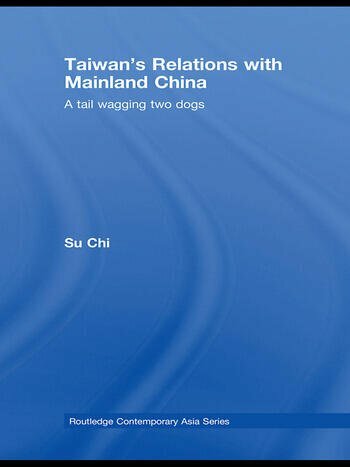 Taiwan's Relations with Mainland China is the first book to deal with the role of Taiwan’s leadership politics, including the personal political styles of Lee Teng-hui and Chen Shui-bian, in the development of Taiwan’s mainland policy and the consequences for U.S.-Taiwan relations. As a study of Taiwan’s mainland and US policy this will be a fascinating read for students and scholars of Taiwan Politics, Chinese Foreign Policy and East Asian Security studies alike. Su Chi is currently Secretary-General of National Security Council, Taiwan. Prior to this was a Legislator in Taiwan’s Legislative Yuan and the Chairman of its National Defense Committee and formerly taught full-time at Chengchi University and Tamkang University. Between 1993-2000 he served in the ROC Government as cabinet- level Chairman of Mainland Affairs Council and Deputy Secretary-General of the President’s Office.